Elena Pavlova just made the worst travel mistake of her life. Before setting off for her dream vacation to Europe, she neglected to check the entry requirements for Switzerland. Then she managed to board her Swiss Air International flight (SWISS) to Zurich with an invalid passport for her itinerary. Not surprisingly, her vacation plans came to a screeching halt when she landed. She was denied entry and border police took her into custody. Now Pavlova is asking why SWISS allowed her to board the plane with an invalid passport in the first place. And she’s demanding that the airline share the $3,000 cost of this travel mistake. This case comes just in time to send a warning to travelers currently planning their summer vacations. It’s critical to know and possess the required entry documents for your intended destination. If you don’t, you too may take an unpleasant international round-trip odyssey — no vacation and no refund included. At the beginning of the year, Pavlova noticed some fabulous deals to Paris in March. So she decided to plan a visit to see her friends in the City of Lights. She booked her flights directly through the Lufthansa website. The best rate was on SWISS, a codeshare and connecting flight through Zurich. Pavlova knew that her passport was expiring in 2019. So she quickly checked the expiration date and noted the document was valid until the end of May. She had scheduled her return flight from France for March 12. Pavlova thought that she could safely travel on one last journey using the soon-to-be expired passport. That was a big mistake, but I’ll get to why in a moment. Excitedly planning her trip, Pavlova purchased the ticket on SWISS. Then she carefully considered a variety of hotel options. 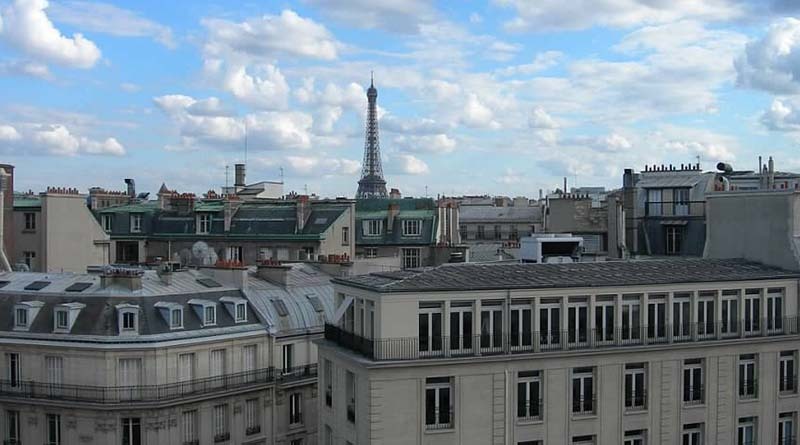 Eventually, she booked a nonrefundable, prepaid hotel room with a view of the Eiffel tower. Unfortunately, the travel mistake that she had just made would prevent her from ever setting foot in that room. And the extra money she spent on the view of the Eiffel Tower would go to waste. On the day Pavlova was scheduled to leave for her vacation, she packed her bags and headed to the San Francisco airport. But there was a giant problem with her passport — it was invalid for entry to Switzerland. And Pavlova was about to find out in a most shocking way. Fatigued from flying all night, Pavlova made her way to the customs window in Zurich. She was looking forward to taking the short flight to Paris and settling into her hotel. But suddenly things took an unexpected and unpleasant turn. What should have been a routine 60-second review of her passport and a stamp evolved into something else entirely. Several agents joined her window and studied her passport. Worried that she might miss her connection, she asked what was wrong. Finally, the customs agents informed Pavlova that she was being denied entry. Pavlova could not believe what she was hearing. Things quickly went from bad to worse for Pavlova. At first, she thought she could just fly on to Paris and avoid Switzerland. But the officers explained to her that the same rules exist to enter France. SWISS was required to take Pavlova back to the United States. However, there were no SWISS flights available until the next day. Horrified, Pavlova learned that the immigration police would be taking her into custody. That was no comfort to Pavlova. What was supposed to be an exciting winter adventure to France was now a true vacation nightmare. Pavlova says she tried to reason with the border police. She assumed that there must be a way to correct her travel mistake. But it soon became clear there would be no negotiating with the border agents. I had no idea [what to do]. The treatment was horrible. I called the airline and they told me to get an emergency passport. But that proved impossible. The experience of being detained was a horrible one. I tried to appeal my case. The police did not allow me to go to Bern to attain an emergency passport. They forced SWISS to book me a flight home for the next day. The refusal of the police officers to allow Pavlova to be released from their custody is no surprise. Landing in a foreign country without the required documentation for entry is a serious offense worldwide. Customs agents are charged with protecting their countries’ borders. A traveler arriving with a missing or invalid passport should have no expectations of being released from custody or allowed to continue their journey. Pavlova finally resigned herself to her fate. In the morning, the officers escorted her to her flight home. Just 21 hours after arriving in Zurich with her invalid passport, she was on her way back to San Francisco. When Pavlova arrived home, she was incensed. She had never had such an outrageous and embarrassing travel experience. So she started calling and writing to SWISS and Lufthansa. She placed all the blame on SWISS for this travel mistake that ended with her in police custody. By the time she reached the Elliott Advocacy team, SWISS had already rejected her claim. The rejection pointed to the terms and conditions of the airline. SWISS, like every other airline, makes it clear that passengers are responsible for knowing their own travel documentation requirements. But Pavlova wasn’t giving up. When I received her plea, she was still determined to obtain a variety of reimbursements for her lost trip. SWISS did not correctly check my passport. I am seeking reimbursement for my flight and my hotel accommodation in Paris. I am attaching my detention documents from Zurich. And all the receipts for my original flight and the hotel. I incurred a total of $2,200 inexpenses during this insane ordeal. Under accordance with the EU legislation regarding passengers’ rights in case of denied boarding, flight cancellation and/or severe delay (EC Regulation 261/2004) the airline bears responsibility for costs. I was denied boarding and therefore I am seeking reimbursement for damages. I am not even estimating the wages lost, as I took all that time off. Ok, first things first. I knew I had to bring Pavlova into reality about her requests. As our publisher, Christopher Elliott, warns in his article on the topic of fixing consumer problems, you must be mindful of keeping your proposed resolution reasonable. At best, Pavlova’s travel mistake was a shared mishap with SWISS. But as we caution time and again — ultimately the responsibility to know and possess the required documents for travel rests with the traveler. And the EC 261 regulation does not apply when a passenger shows up for a flight with an invalid passport. But Pavlova’s case was unusual. Our advocacy team fields a plethora of requests for help from passengers who have made this same travel mistake. However, most of these travelers are stopped before boarding since airlines can receive hefty fines for delivering a passenger to a foreign country without the required documentation for entry. The fact that SWISS allowed Pavlova to fly to Switzerland made this case unique. But I also noted that SWISS has a clause in their contract that will make the passenger responsible for any fines associated with these travel mistakes. 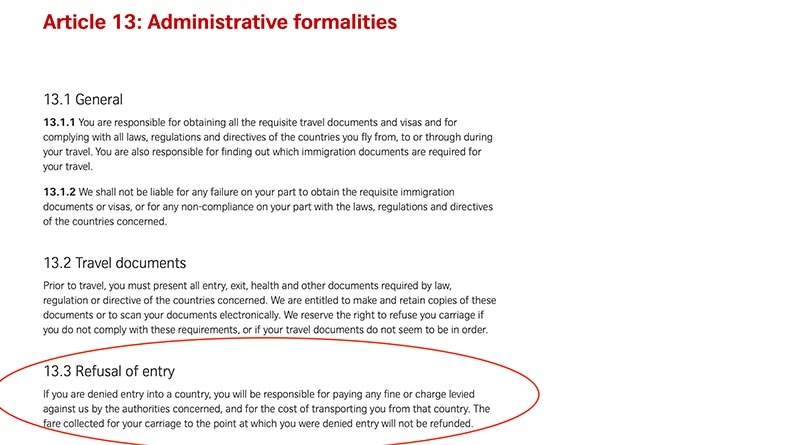 In other words, if a passenger is denied entry over an invalid passport and SWISS is fined — the passenger might get the bill. The Swiss Air contract of carriage says the passenger can be held liable for a passenger’s invalid passport fines. What is the Schengen area and how can it affect your travel? The Schengen agreement is the genesis of Pavlova’s problems. And it’s something all U.S. citizens traveling to Europe should be aware of. The 26 European countries that belong to the Schengen agreement require that U.S. citizens’ passports must be valid for three months beyond the return date of their itinerary. I’m bolding that information because this is one of the top problems that consumers who contact us have encountered. If you’re traveling to any of those countries, make sure that your passport is valid 90 days beyond your return date. Otherwise, you have an invalid passport for entry. And the best you can hope for is to be rejected at the airport when you are trying to begin your journey. At worst you might fly to one of these countries and end up a guest in their detention center for the night and returned home just like Pavlova. 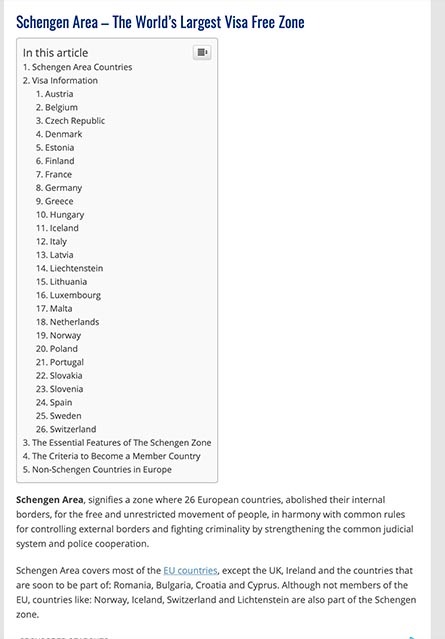 Schengen countries. A U.S. citizen will need 90 days post-travel validity on their passport for entry to these countries. Asking SWISS: Whose travel mistake is this? Because SWISS had allowed Pavlova to board her flight with an invalid passport, I reached out to our friends at the airline. Our executive contact asked his team to investigate how this happened. And soon we had a little more information about Pavlova’s case. As it turns out, Pavlova had not checked any bags. And she had checked in online. When she arrived at the airport, the only SWISS agent who had reviewed her passport was the gate agent. That person took merely a cursory look to make sure it wasn’t expired. Unfortunately, Pavlova’s passport was only five days shy of validity. And so the gate agent had missed that detail. SWISS, as with any other internal operating airline, has an obligation to the countries in which it transports passengers, to ensure that all passengers carry the necessary entry documentation. All our passengers confirm at time of online check-in that they are in possession of the required documentation. To fulfill our obligation to the destination or transit countries’ border requirements we often carry out additional checks at the time of check-in or boarding. As Ms. Pavlova did not check-in any baggage, there was no opportunity to make any checks at the time of check-in. Due to the circumstances, it was neither possible at the time of boarding. We sincerely regret the opportunity was not there to check Ms. Pavlova’s documentation before her boarding to the flight to Zurich and we accept that such a check might have avoided her being denied entry in Zurich. However, ultimately the responsibility to ensure correct documentation for their entry is with the passenger. The Border Authorities made the decision to deny entry to Switzerland. I trust in your understanding that we cannot comment on the manner or procedures of the authorities in respects to Ms. Pavlova’s holding before her return. We do however have sympathy with Ms. Pavlova and understand the stress, disappointment and general inconvenience this has caused. As an extraordinary gesture of goodwill, we sent her a Travel Voucher to the value of USD 300.00 which she may redeem for a future booking on SWISS.com. Pavlova says this response from SWISS is an acceptable end to her dilemma. But there was a little more good news for her. Since she had initially booked her flight with Lufthansa, she had also contacted that airline with her awful tale. A sympathetic ear heard her story and responded with yet another goodwill gesture. Lufthansa reminded Pavlova that it is always the traveler’s responsibility to know their own travel document requirements. However, they sympathized with her experience and agreed to refund her airfare purchased through their website. And now that Pavlova sees the whole picture of her situation she is grateful for the outcome. She agrees that she should have checked her passport before heading to the airport. And she will never make this mistake again. But she hopes her story can help other travelers from finding themselves in her same circumstance. How can you avoid making this same travel mistake? U.S. citizens should always visit the U.S. State Department’s website before making any international travel plans. This site will provide you with almost everything you need to know about your destination before your international journey. Check the consulate website of any country you intend to visit. The internet makes it quite simple to find all the information you need for seamless travel. Use this helpful (and free) tool from the International Air Transport Association(IATA). It can quickly give you personalized passport, visa and health documentation requirements for your destination.